I always wanted to try my hand at logo design, but I had always avoided it. I’ve learned over the years that logo design is probably the most critical asset to a company. I would put it right up there with a great business plan. A good logo provides a memorable image of the company and people do judge a book by its cover when it comes to marketing. I just didn’t know if I possessed the level of creative ability needed and my illustrator skills were a bit lacking compared to my Photoshop skills. But hey, isn’t that the purpose of Google? You don’t need training on everything you ever want to do. You simply need some common sense abilities and some good Google-Foo. When I was approached about doing a logo, I decided to through out my lack of confidence and just do it. I’m glad I did, because I came up with a great logo and built some skills along the way. 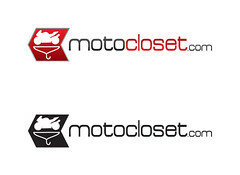 No Comments on "Logo Design for Motocloset.com"
« Be Sure to Tune in!